If it is that time of the year when eight Indian franchises lock horns in a bid to conquer the most opulent cricketing league, it is also that time of the year when pundits are discussing meticulously as to why Royal Challengers Bangalore should have won at lease one season of the tournament till now. This tale has been ubiquitous before the start of every IPL season for some years now. After the season, the same pundits analyse reasons due to which RCB didn't end up lifting the trophy. Such has been the theory of expectations with context to Royal Challengers. Not that the pundits are anywhere wrong, the team's batting order over the years has been so dominating that anyone can mistake them for being the winners. As unfortunate as it sounds, the franchise finds a reason every single time to not win the trophy. Despite the outcomes, Royal Challengers Bangalore are always supported by a heavy and passionate fan base. The team under Virat Kohli would want to lift the title at least for the constant support that they have received over the years. 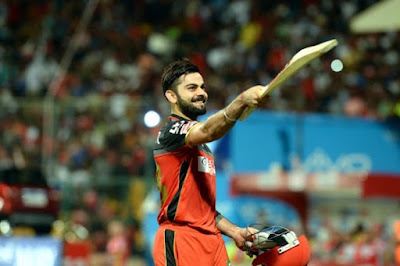 Will Kohli lead RCB to the title this time round? During the auction earlier this year, RCB spent almost the entirety of their budget, buying 24 players for INR 79.85 crore (out of the allotted budget of INR 80 crores). There is no hiding to the fact that in his decade-long IPL career, Parthiv Patel has emerged out as a proficient opener in the shortest version of cricket. He is likely to perform the same role this time as well and that too with someone he has opened the batting with in the past. In 2011, Patel and Brendon McCullum had faced the new ball for Kochi Tuskers Kerala. In Virat Kohli and AB de Villiers, RCB have two formidable batsmen who while batting together have set several partnership records in the IPL. Getting this priced duo out cheaply would be a major target for all oppositions. Mandeep Singh is another talented prospect for them who is in the possibility of coming handy for RCB in the middle order. Their lower order is something which has affected their prospects in the past and might just continue to do this time as well. Perhaps, they have missed a trick in buying an archetype finisher. Both Colin de Grandhomme and Washington Sundar have it in them to finish the innings for RCB, but these are mere assumptions as the duo is yet to prove its credentials with the bat in the IPL. In the name of a replacement for Nathan Coulter-Nile, RCB has brought into the squad Corey Anderson. He can be an ideal finisher for them, but whether he will bowl is another question. RCB can look to play him in place of his New Zealand teammate de Grandhomme, but they will have to be willing to sacrifice on a bowling option for it. RCB has covered all bases when it comes to its bowling resources. In Chris Woakes, Umesh Yadav and Mohammad Siraj, they have a perfect blend of an overseas fast bowler, an experienced Indian fast bowler and a young talented Indian fast bowler. Yuzvendra Chahal has been an important cog in the wheel for them for some years now. Having become a regular India bowler now, his sky-high confidence can further enhance his performance. He and Sundar are likely to complement each other with their varying crafts. Moeen Ali will make his IPL debut in IPL 11. Ten to one Quinton de Kock will feature in RCB's batting line-up at some part of the tournament. Amongst the Indian batting reserves, RCB has Sarfaraz Khan, Manan Vohra, Pavan Deshpande and Anirudha Joshi. Khan has won matches for them in the past and Vohra can be adept option at the top of the order. As the tourney progresses, Tim Southee can come in as a direct replacement for Woakes as both the overseas bowlers possess similar skills. The gifted Indian fast bowling contingent includes Aniket Choudhary (who made his debut for RCB last year), Navdeep Saini and Kulwant Khejroliya. Pawan Negi and Murugan Ashwin might also be given a go at some stage in the tournament. Negi can also strike big with the bat in hand during the slog overs. 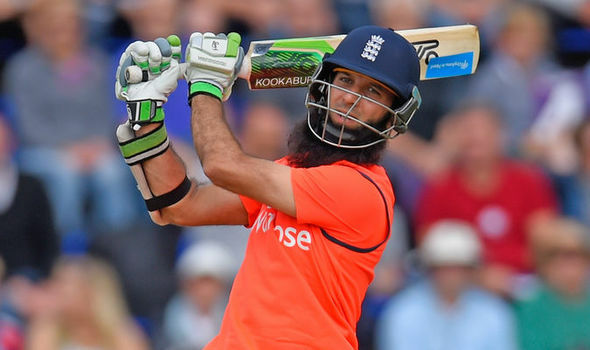 Another man who will allure a lot of eyeballs is Moeen Ali. Yet to feature in the IPL, and given his all-round skills, Ali can come good for the franchise.